Although official support for the Cisco VPN client has now finished, many businesses and individuals are still using the Cisco VPN client, mainly due to the fact that Cisco have, for a puzzling reason, decided to not keep the original VPN client updated or release a successor for it. However, up until Windows 7, the Cisco VPN client has continued to work as expected. Following on from that though, there has been problems to overcome since Windows 8 and now what seems to be the final nail in Cisco VPN’s coffin with Windows 8.1. It’s not unusual for unsupported software to stop working on newer operating systems, but with the release of Windows 8.1 seen by many as incremental (and effectively comparable to previous Windows versions ‘system packs’) , it will have definitely caught many people off guard. Those using Windows 7 and below…..
Rejoice! You’ll have no problems using the Cisco VPN client. However, it is likely to be disappointing that you can’t upgrade to the next version of Windows when you want to… Now’s the time to start looking for an alternative piece of VPN software if you can, or contacting Cisco to see if there’s any advice they can offer. However, it’s important to note that they will likely tell you this is legacy software that is unsupported. Partly rejoice! 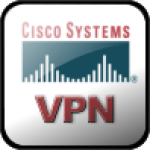 You’ll be able to install the Cisco VPN client with relative ease, however you will need to make changes post installation for the VPN client to actually work. Although it does require a bit of tinkering with the Windows registry it won’t be too difficult for more users to carry out and they’re are a few guides around on the Internet. It essentially involves changing a registry key related to the Cisco VPN client that, when installed on Windows 8, gets some additional and not required crap added on to the beginning of the string ;). · Select the DisplayName to modify, and remove the leading characters from the value data upto “%;” i.e. We’ve tried and tested this solution and it’s works great on Windows 8. Don’t rejoice. Cisco VPN Client isn’t going to work for you any more. Although unfortunate, this is a great opportunity to look at other potential VPN clients that are up-to-date and still being supported. If you must continue to use the Cisco VPN Client then you need to use it on a PC running Windows 8 or below. The VPN client that most people seem to be switching to is the (free) Shrewsoft VPN client. Based on reports from people on the Internet, the Shrewsoft VPN client is a successful replacement for the Cisco VPN client, however some people have run into trouble depending on network configuration. Cisco VPN client gives the thumbs up to Windows 7 and below, neither up nor down for Windows 8 and a thumbs down for Windows 8.1. If anyone has managed to find a workaround for getting the Cisco VPN client to work in Windows 8.1 then please do get in touch and we’ll publish it if we can verify it (with a full credit obviously). They’ll be many people thanking you that’s for sure!